Budget-conscious and dedicated, the team effort of engineers, laborers, craftsmen and sailors ensured that the supply line remained steady and nothing went to waste. This photo from 1904 shows how quickly the manual work proceeded, cutting the granite from the Rockport quarry, choosing and shaping each massive block, assembling and disassembling the blocks, shipping them from Cape Ann to Boston Harbor, and carefully assembling them on the tide-swollen ledge. Incredibly, there were no serious injuries during this entire process – back when workplace safety was primitive, at best. 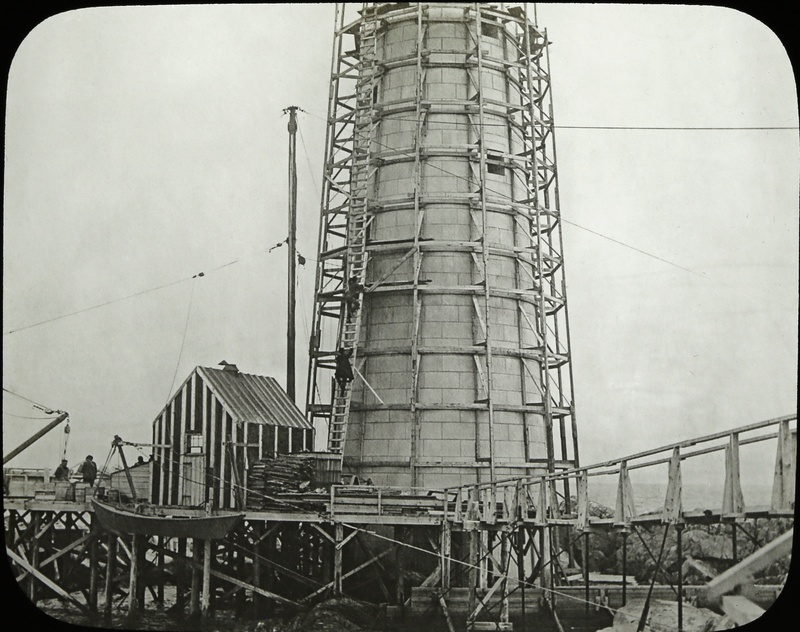 The story of the construction of Graves Light is another tale of the amazing American work ethic that built lasting monuments coast to coast.